The growth of social media has created a need for us as PR practitioners to change our skillset to keep on top of our game. 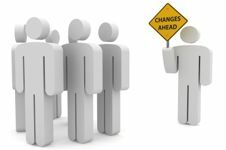 The ability to succeed in changing times is really part of the DNA for PR. The profession is no longer ruled by people who only have good writing skills and can pitch stories the right way to journalists. Today you need to be able to do so much more. Social media has made us become creators of different content and made us need to acquire a whole new way of thinking more creatively and reaching our audience in a new way. Daniel O’Donovan from CEB (communication leadership council) wrote on his blog that the new type of PR professional is a generalist, rather than a specialist. He used the example of an agency that had just replaced the person who managed their photo archive with someone who can simultaneously manage all things visual for the brand. 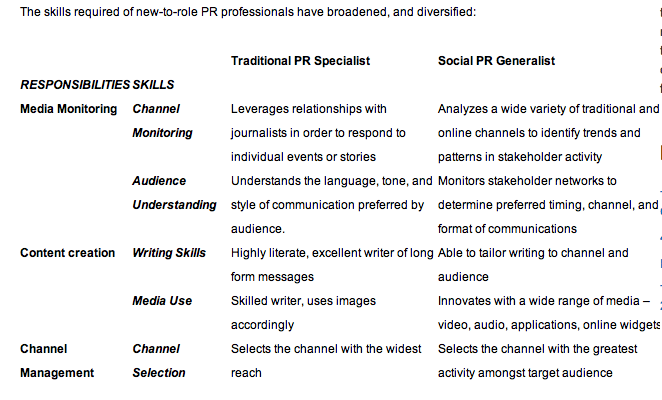 Moreover, he made a model concerning how the changes in skillset have been from being a traditional PR specialist to becoming a social PR generalist. How have this changes altered the requirements for entering the PR profession? ← Why it is important for brands to be on Twitter? How important is the growing trend of using more visuals in PR? Why it is important for brands to be on Twitter? Is social media blurring the lines between PR and advertising?